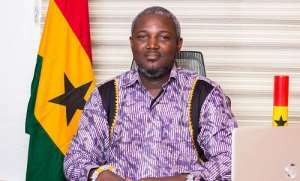 Deputy Minister for Youth and Sports, Honorable Perry Okudzeto has stressed that Ghana is going into this year’s Africa Cup of Nations (AFCON) with the motive of winning the ultimate prize. Having failed to win the AFCON trophy in over 3 decades, the stake are even higher this time around with just a couple of months to another continental tournament. Speaking to Fox FM ahead of the official draw of the tournament which comes off today in Cairo, the deputy sports minister has indicated that he expects the Black Stars to fight for the ultimate prize even though there are no underdogs in the upcoming tournament. “Our expectations we all know the AFCON now comprise of 24 teams, every team has come to lift the trophy so I don't think their underdogs, so we from Ghana are also in for the trophy”, he said. He further shared that government together with the Blacks Stars management committee is going to do their best to ensure all money issues are settled in order fulfil their part to propel the team to be motivated in their quest for glory. “Government is ready, about money issues we have management committee and we have been meeting to get the road map, (sports) ministry is also doing its best so I can say for sure we are on course to lift the flag of Ghana”, Perry Okudzeto added. Ghana have come close in winning the ultimate in 1992, 2010 and 2015.